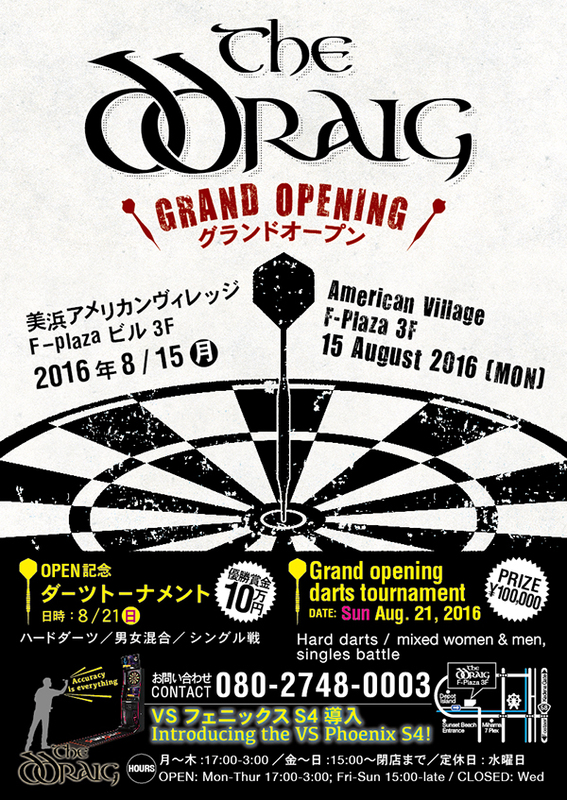 The Ddraig premier darts bar at Mihama American Village is celebrating its grand opening on Aug. 15. In honor of this event, they will be holding a grand opening darts tournament with a 100,000 yen prize going to the winner. The Ddraig is proud to introduce a new VS Phoenix S4 dart machine.